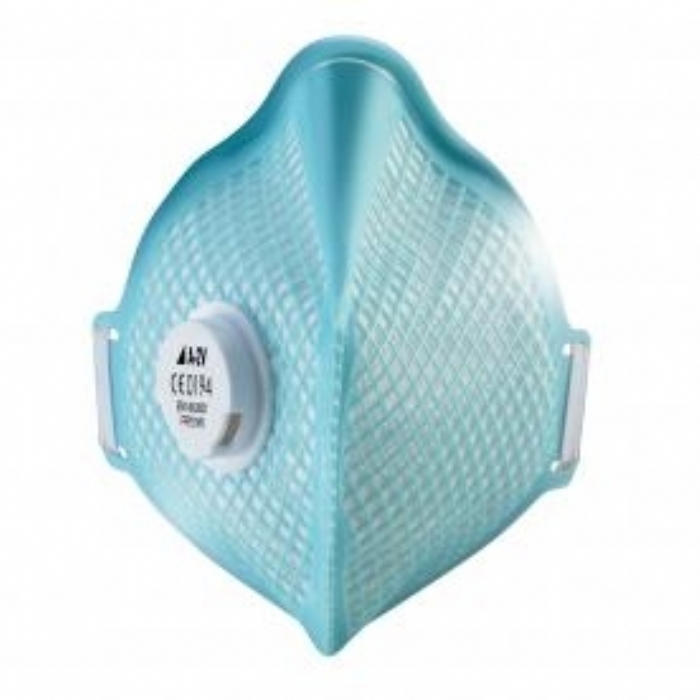 The alphamesh A-SERIES is the first vertical fold style of disposable respirator to feature the alphamesh shell, preformed nosebridge and be completely metal free. Colour coded to aid selection, this UNIQUE design* offers improved comfort and fit with the retention of shape even in extreme conditions. Care should be taken when choosing the correct model to establish the type and concentration of hazard involved. A level of contamination (set by the HSE) of the concentration of an airbourne substance, above which level precautions must be taken if exposure takes place.